Most therapists would describe fear of letting go of the past as depression and fear of what’s to come in the future as anxiety. All that lies between the past and the future is a single day--today. Listen, I know how difficult it is to let go of the good-ole days, and I know first-hand how a coming deadline or the loss of income can send your mind spinning into hyper drive. How many fully-present days do we ever get to enjoy without fear of yesterday or tomorrow creeping in? Not very many. We have to fight hard to embrace each day and remember they are each gifts. There is no guarantee of tomorrow, and entire lifetimes can be wasted fixated on what’s to come without ever getting to fully experience the here and now. When our eyes are fixed on the days behind us or ahead of us, we lose sight of the gifts God has tucked away for us here, today! When we look at the day we’ve been given and accept it for exactly as it is instead of wondering what it could or should be, our hearts will be filled with gratitude and our minds will finally be at peace. If you are living in a difficult season, it’s okay to acknowledge the challenges you’re facing! I had a client once who was the mother to young twins, and she was so worn out that she felt this enormous guilt for not enjoying the season she was in. She tried her hardest to be as productive as she was before she had two babies to take care of and ended up driving herself into to the point of depression. Once she accepted her new season along with the limitations that came with it, she was able to give herself more grace and pay attention to the gifts of motherhood at a much slower pace. Are you in a new season where you have to give up the standards and perfection you’ve held in the past? With every season comes challenges. Just like the mother I mentioned earlier, you may be hard-pressed for time or energy. Maybe you just lost your job and the greatest challenge you are facing is a lack of income as the holidays quickly approach. Maybe someone in your family was just diagnosed with a chronic illness and you are now having to change your lifestyle to accommodate it. The reality is that every season, whether good or bad, comes with its fair share of challenges. The sooner you are able to name and accept those challenges, the easier it will be to stop looking back at how life used to be and you can live in confidence that you will one day step out of this season into something better. I am someone who constantly looks to the future. I’m a visionary. That happens to be one of my strengths, but it also means that anxiety creeps in if I don’t constantly push against it and make every effort to keep my mind fixed on the present. Maybe you are the sort of person who by default always has your eye on the rear-view mirror. Knowing where our minds tend to fixate will help us fight against these temptations. If you are unsure of where your mind seems to wander, ask someone who knows you well and they can help you shed some light on the situation. As we enter the holiday season, it is so easy to lose ourselves in the hustle and bustle of travel, family, and vacations. Remember, there are so many gifts in store for you each day, and unless you take time to pay attention and see what God has hidden away from you, you could miss out on what makes the holiday season so special! What season are you in and what challenges come with the territory? What challenges do you need to accept as the way of life for now? Where does your mind wander if you allow it? Does it slip into anxiety of the future or does it look longingly to the past? Have you ever been stuck inside on a rainy day feeling sorry for yourself and like the world is out to get you? Of course you have! You work hard during the week and you want nothing more than a beautiful, sunny day to enjoy with your friends and family. It’s human nature to be bummed out about plans that went awry or for catching a cold when it’s most inconvenient. But if we allow our circumstances to make us happy then we are tying our happiness to something way too inconsistent. We have to instead tie our happiness to God because He is always consistent. The Bible assures us He never changes! Not yesterday, today, or tomorrow! So practically speaking, how exactly do we do that? Sure it’s raining outside when you’d rather it be sunny. But you know what? That means you get to spend valuable time indoors with your family. It means your lawn will be all the greener. It even gives you a chance to slow down and curl up with a good book you’ve been meaning to read. Rather than cursing the rain, we can thank God for the blessings He has tucked away for us in every circumstance. One of the best practices you can do to shift your mindset from disappointment to gratitude is to make a gratitude journal. Each morning when you wake up, challenge yourself to write down 10 things you are grateful for. Eventually this mindset will become a habit and you will be able to see the world through gracious eyes. Some people are bent on being negative and bummed no matter what. You need to remember you cannot control their mindset, but you can control yours. Being around negativity will breed more negativity, but by surrounding yourself with joyful, gracious people, you can’t help but let a little positivity rub off on you! What are you disappointed by today? 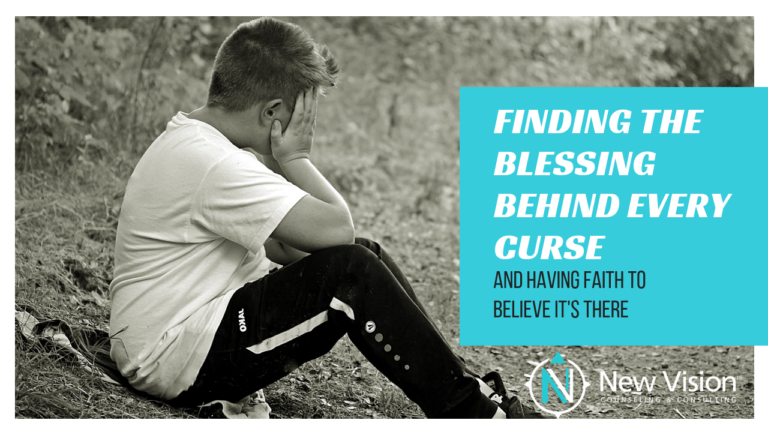 What hidden blessings has God tucked away in these disappointments that you could focus on today? Are there any negative or toxic people in your life that you need to create distance from?